Stunning 4 bedroom, 3 bath home with an office and a bonus room in the Trails at Durant. The beautifully landscaped yard with upgraded pool/spa package, and the back yard completely surrounded by a privacy fence making this home the perfect quiet getaway and also great for entertaining. Upgraded cabinets, appliances, solid surface countertops, and breakfast bar make the kitchen very inviting. The open floorplan, double sliding glass doors that open to the lanai, and lots of windows give this home a beautiful, light and bright feel. The master suite boasts a sitting area, French doors to the lanai, huge walk-in closet, double vanities, garden tub with separate shower. The roof is less than 3 years old & the pool enclosure was re-screened in January 2019. 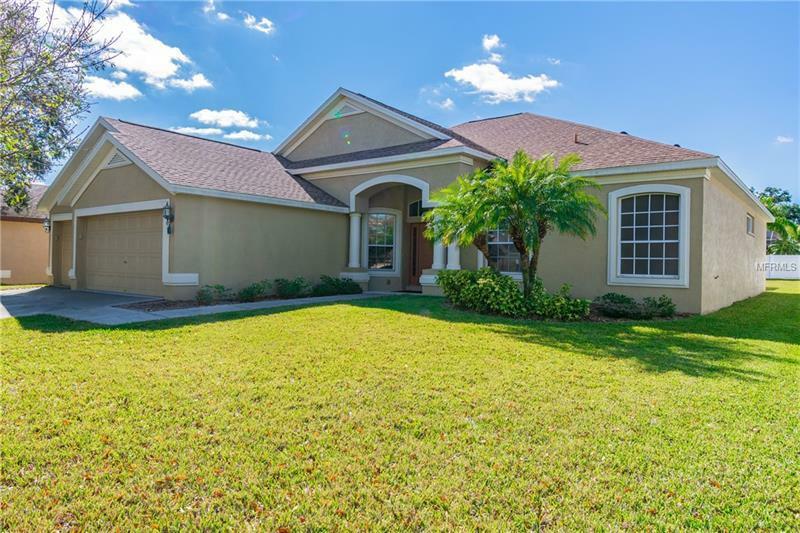 Close to excellent schools, restaurants, entertainment, and all that Tampa Bay has to offer.